Cheonggyecheon Stream Plaza is a perfect place for an easy and quick visit for all types of visitors. It offers entertaining and exciting exhibitions. Cheonggyecheon is conveniently located at the heart of Seoul, where both domestic and international visitors flock not only to enjoy the colorful and creative lighted designs. I admit that it is one of my favorite places despite the sad and controversial stories behind this ‘restored’ stream. 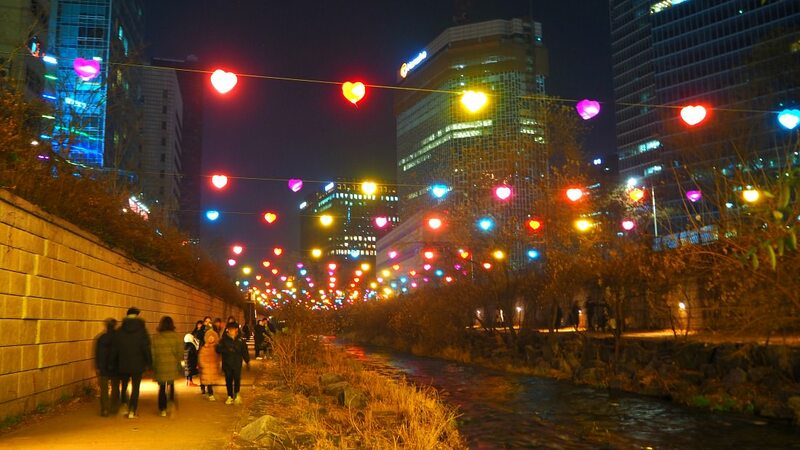 Yes, Cheonggyecheon was a ‘dead stream’ but was brought back to life (more on this below). Design and nature. Cheonggyecheon was designed in such a way that it mimics the original flow of the stream (or river back then). The banks on both sides are properly plastered for all visitors to stroll on comfortably. Some flowering plants, trees, lamp posts, and decorations make the stream look nice and relaxing to place to be. Although the additional decors make it less natural, the flowing water and some living creatures (fish, ducks, etc.) confirm that it is still supporting nature. Exciting Exhibitions. One of the best attractions at Cheonggyecheon are the exhibitions. Examples include any images and works of art designed in such a way that they lighten up when darkness comes. Glass horse or angel sculptures certainly capture your attention and would make you take photos of them--either as selfie background or just their images. Archaeologically, the area has various artifacts uncovered including potteries, carvings, old Chinese characters, among others, that confirm how people have lived and gained support from the water of the stream up until it was covered from public view and drove the settlers away from the vicinity. Yes, I have been visiting this place since it is ‘revived’ and designed with its present form. Been doing that because it is very accessible. 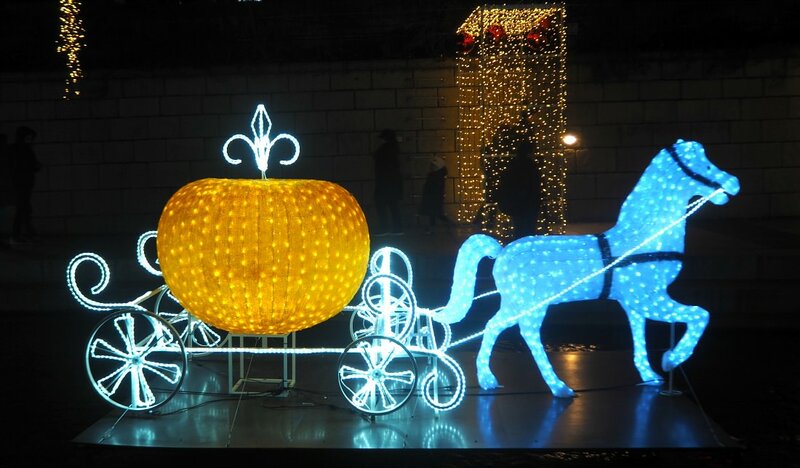 Every time I visit the Gwanghwamun Square area, I always check if there’s anything worth exploring, such as exhibits of images with LED lights. Besides being located close to other best attractions in Seoul area, it is very accessible to public transports (please see below). You can take any bus or Seoul Subway Line to get here. Choices of hotels. One can stay in any of the hotels around the area and easily move around. Yes, you can use any of the accommodations nearby as your base for your travels and exploration in Seoul and nearby provinces or cities. Staying near Gyeonggyecheon Stream Plaza could be a practical decision if you want to see, do, or enjoy lots of Seoul’s travel destinations. Please, note that some facilities will only be available during particular seasons or events. So, you might have to check out relevant website on Gyeonggyecheon. Cheonggyecheon (청계천) Stream is an 11-kilometer-long refurbished water and park area that runs through downtown Seoul, the capital city. 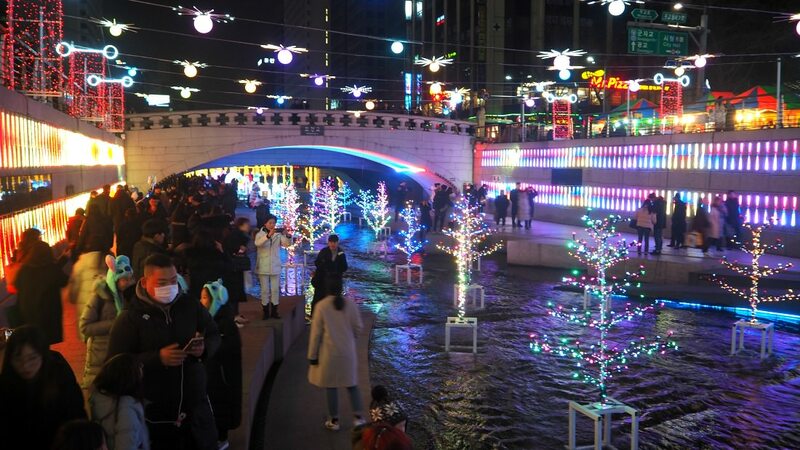 The modern Cheonggyecheon Stream Plaza is a product of urban renewal project by restoring the old stream that existed during the Joseon Dynasty (1392-1910). It has been recorded that the Japanese tried to cover the stream but their financial capacity during that period hindered them from doing so. Finally, the stream’s ‘eyesore’ to the public became hidden from view when it was covered with a concrete and elevated highway. The highway was part of South Korea’s post-war era economic development projects. However, being part of former president Myung Bak Lee’s ‘green’ projects, the elevated highway was dismantled in 2003 to restore the hidden stream into its present state. The stream itself starts from Cheonggye Plaza where interesting cultural and economic exhibitions are put up on special seasons and events. The renovated stream banks pass under 22 bridges right before its water returns to Hangang River. Cheonggyecheon Plaza covers around 2,500 square meters in area and is located at the fountain area where the stream starts to flow. The plaza is created with a traditional Korean bojagi (a colorful traditional wrapping cloth) design. The design features intricate traditional stone carvings with colorful items. The details of the 22 bridges spanning over Cheonggyecheon Stream are described on the plaques visible in the plaza. Also, a map of the stream provides visitors a birds-eye-view of the stream. When the Cheonggyecheon Stream Plaza was completed, the Seoul Metropolitan Government designated that the area would be available only for people seeking space and a safe area free from motor-vehicles' presence. Besides being a vehicle-free area, you will also enjoy the colorful Candle Fountain by night which features fantastic sights of rainbow lighting fixtures. A two-tiered waterfall which reflects through rainbow colors could be a mesmerizing view. Some details include the Palseokdam wishing wells which are made of 8 different stones each coming from the country’s 8 provinces. Restrooms. These are not provided within the plaza of stream’s vicinity but are available in the big business building found along the area. Alternately, most cafes have washrooms available for their customers. Physically Disabilities. Entering the plaza area is available for wheelchair and stroller users. One can enter into Hwanghakgyo Bridge and Samilgyo Bridge using elevators. A wheelchair rental service is available at Cheonggye Plaza Information Center and Ogansugyo Information Center. Phone: +82-2-2290-6803. Pets. Yes, you can bring your pet (as I did) nearby the plaza and Cheonggyecheon Stream. Just make sure you have it leashed, and you are prepared to clean up any mess that your pet might dispose of. Just to let you know that only some dog breeds are allowed to be raised in Korea. Only the ‘non-aggressive’ and smaller in size are permitted to be in public spaces. As I mentioned, getting to Cheonggyecheon Stream Park is quite easy as there are numerous public transports available. And, Seoul Subway Line 5 then get off at Gwanghwamun Station and take Exit 5. Gwanghwamun Station is the best one if you wish to start exploring the stream from its source. Besides, most of the exciting exhibits (such as decorative sculptures, lights, etc.) are displayed in this area. Hop on to any bus traveling the routes of Gwanghwamun or Jongno. Get off at any of the stops along this route and just ask which side of the road leads to Gyeonggyecheon Stream Plaza. Hope you find this article useful to your search.